Sibella Court is bestselling author (Etcetera, Nomad, The Stylist’s Guide to NYC) and a renowned interior stylist and creative director who has styled for such retail giants as Bergdorf Goodman, Bloomingdale’s, Saks on Fifth Ave, Pottery Barn, and Target, as well as for publications like Gourmet, Marie Claire, and Vogue Living. 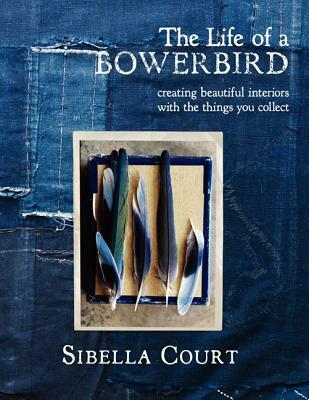 Often referred to as a “bowerbird”—an Australian avian known for decorating her nest with all manner of eclectic treasures—Sibella now offers a wealth of ideas on how to incorporate the things you collect and are passionate about into your home’s design to create beautiful and evocative interiors. With gorgeous photography by her brother, commercial photographer Chris Court, Sibella’s The Life of a Bowerbird showcases her unique eclectic vision in this gift for “bowerbirds” everywhere. Sibella Court is the best-selling author of Etcetera, The Stylist’s Guide to NYC, Nomad, and Life of a Bowerbird. After ten years of living and working in New York styling for Bergdorf Goodman, Saks Fifth Avenue, Jo Malone, Pottery Barn, Target, West Elm, Gourmet, Marie Claire, and Vogue Living, Sibella returned home to Australia to launch her brand and shop, The Society Inc.